If you’ve recently upgraded to Mac OS Sierra you may have noticed that your VPN settings have been deleted during the upgrade process. Upon trying to enter the VPN settings again you may notice that there is NO PPTP option. Unfortunately Apple has removed the PPTP client from Mac OS Sierra due to PPTP lacking the security features of other VPN protocols. Even though PPTP protocol is still available on iOS 9 and earlier or OS X El Capitan and earlier, we don’t recommend that you use it for secure, private communication. Update: 7/10/16. 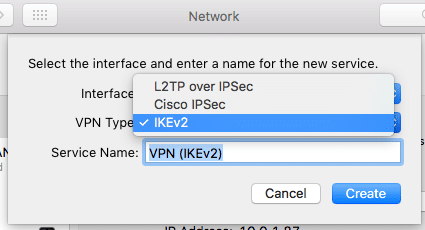 We are still looking for other PPTP VPN Client alternatives for macOS Sierra but we haven’t been able to find any either paid or free. At this point Shimo VPN is the only one we can find available. If you know of any others please let us know in the comments. I can’t find other client, and Shimo doesn’t work for me. Currently trialling Shimo which works so far. Recently found equinux VPNTracker. I think it’s really new. It’s a paid application and may be an alternative option. As I’m currently trialling Shimo I haven’t gotten to trying VPNTracker yet.